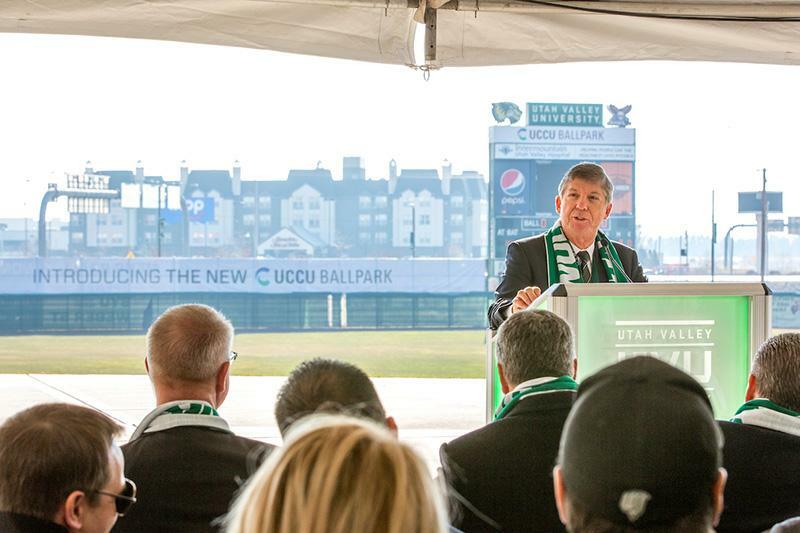 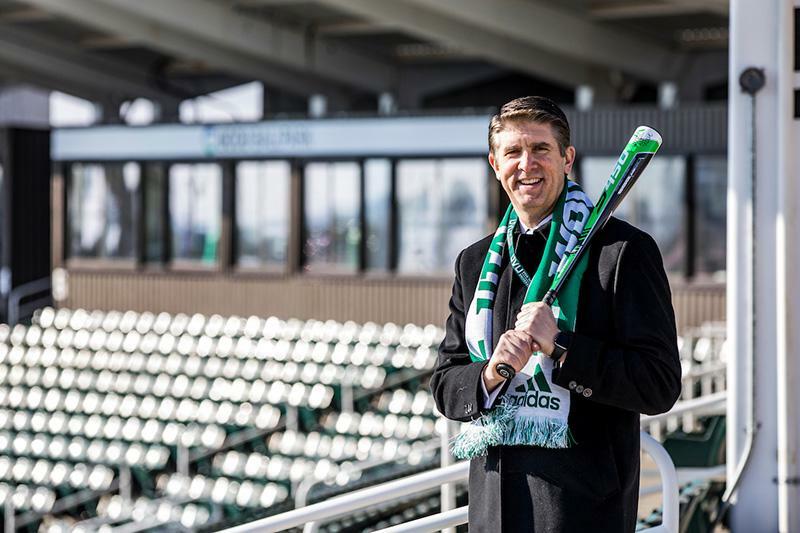 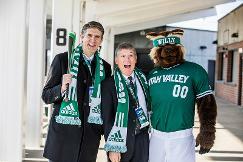 Thanks to a $5.5-million gift from Utah Community Credit Union, UVU’s baseball field and stadium have been renamed UCCU Ballpark. 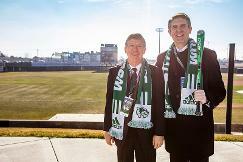 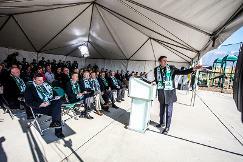 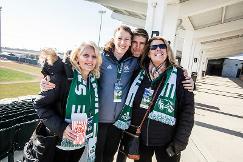 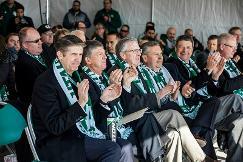 The gift will provide vital financial support for UVU athletics and other programs. 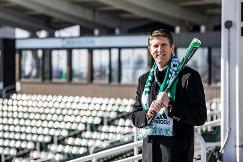 UCCU Chief Executive Officer Jeffrey L. Sermon threw the ceremonial first pitch at the December 7 naming event. 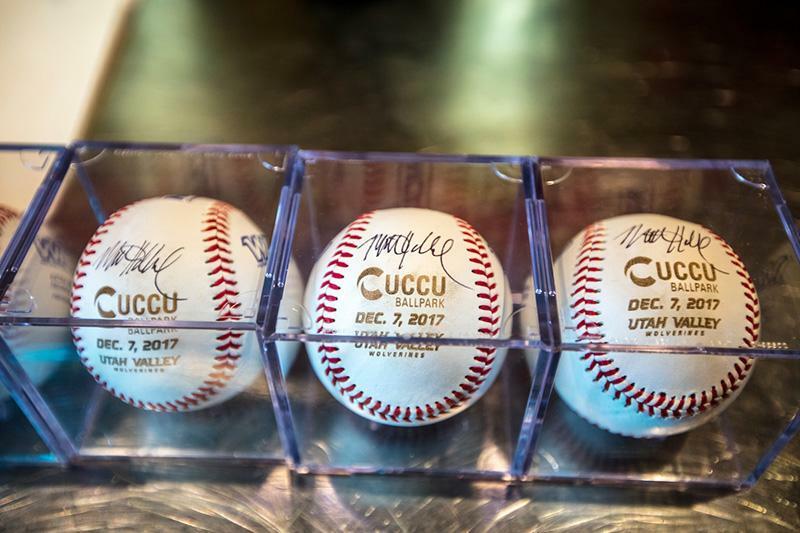 The UCCU name will be prominently displayed at the junction of I-15 and University Parkway. The UVU baseball team shares the park with the minor-league Orem Owlz.